Riesling, it’s been too long. Wow, HOW long has it been since I’ve reviewed a Riesling on here? Seven months?? What is wrong with me? I have let my favourite grape down. Time to make amends, and I have definitely found the right bottle for the job, from probably the most underrated country in the world for good Riesling: Australia. This New World nation, home of terrifying spiders and monster Shiraz, is probably not the first place you think of for elegant, aromatic, cool-climate whites, but there are pockets of land in this otherwise mostly barren desert, moderated by altitude or coastal proximity or both, in which Germany’s most prized vinous export thrives. 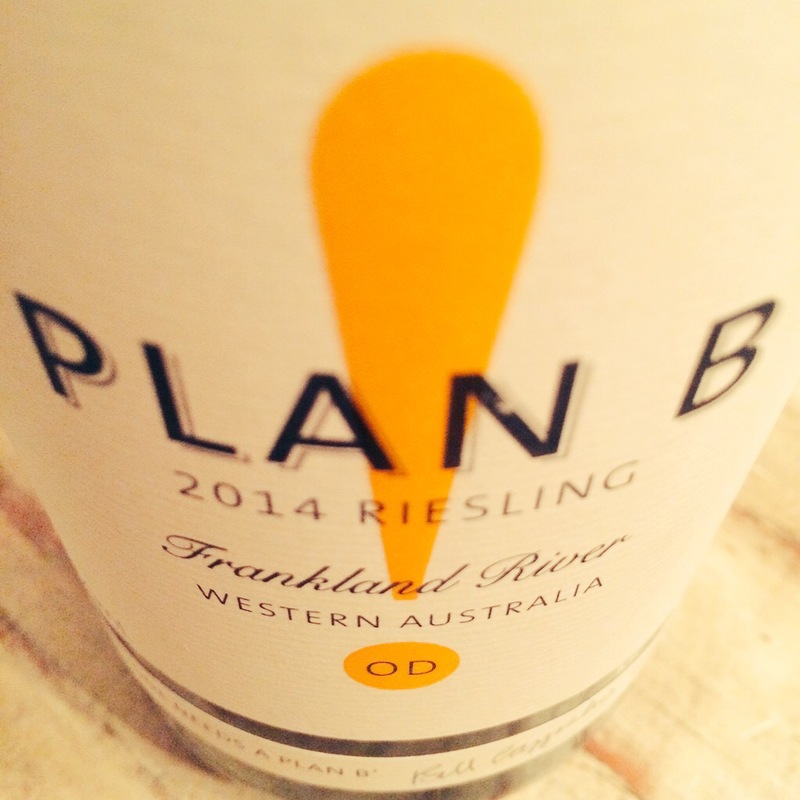 This particular Riesling hails from the relatively obscure Frankland River region, known to me as one of the only producing areas in western Australia not called Margaret River that’s getting any play internationally. While Margaret River sits right on Australia’s western coast, just south of Perth, Frankland River is a little farther east and inland and is a sub-zone of Australia’s largest singular wine region, the questionably named Great Southern region. (As you can see here, it is much more west than south in the national scheme of things, and most of the country’s wine regions are actually located further south than it is. It had better actually be Great there.) 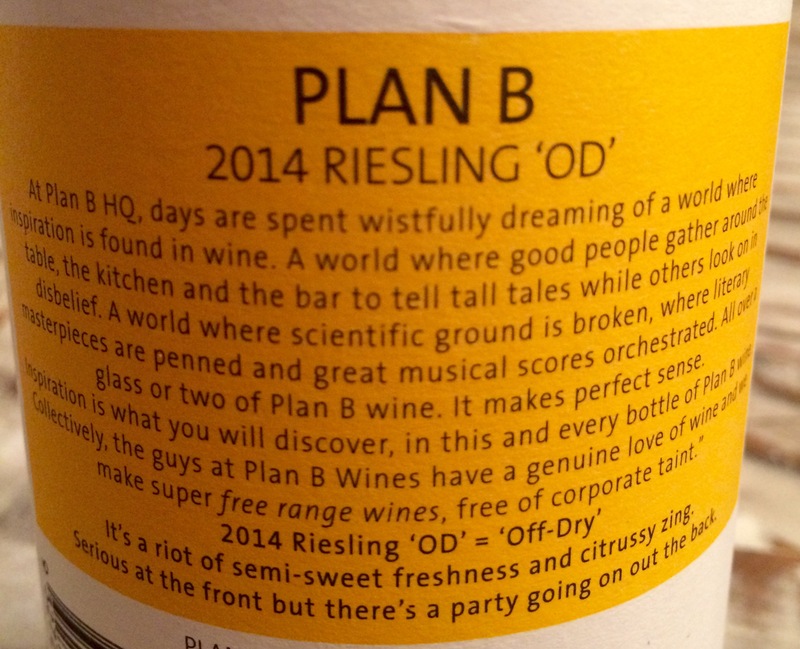 The gents at Plan B Wines seem to be on a mission to make the wine biz loose and fun again while still producing great quality product from top sites, a task that I would suggest is perfectly suited to Australians. Their website at planbwines.com is well worth a visit and contains some incredible illustration work done by the winemaker himself; just watch that you don’t Canadianize the URL or slip up on Google and go to planb.ca, northern Internet home of the morning after pill. You have been warned. The “OD” in this Riesling OD stands for “off-dry”, as the wine is made in a style akin to the Kabinett-level Rieslings from Germany’s famed Mosel Valley: lighter in body, with lower alcohol (11% here) and some residual sweetness to balance off the grape’s striking natural acidity. 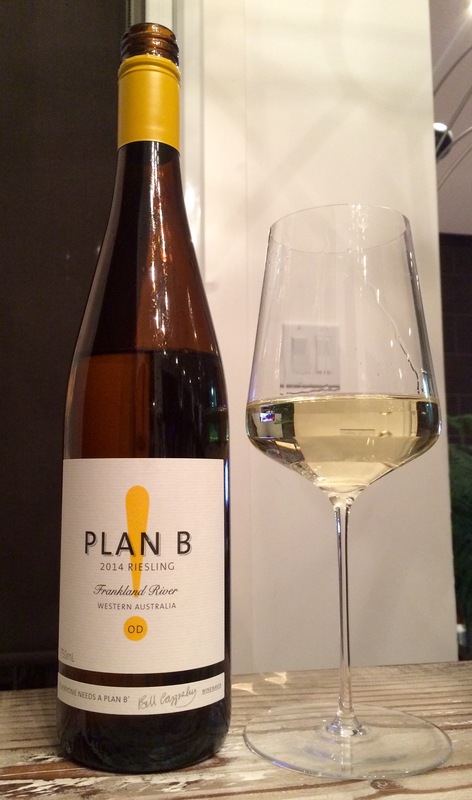 In order to emphasize this beautiful balancing act, Plan B picked the grapes for the OD Riesling at night (to preserve freshness) and a fair bit earlier than the rest of the Riesling block in its source vineyard (as acid is higher at lower sugar ripeness levels). In my last post, I talked about pH levels in extremely acidic wines, with some of the most acid-oriented wines in the world straddling a pH of 3; this Plan B has a pH of 3.01. It also has a substantial 41 g/L of residual sugar, which could almost lead it to be considered medium-sweet, but after tasting it I would have guessed there was less than half of that, so thoroughly does the sugar disappear into the wine and get clinically dissected by the razor’s edge of acidity. This is a perfect demonstration of the hallmark Riesling acid/sugar tango, with the wine continually perched on the cliff’s edge of disaster if this structural fulcrum is even slightly askew but destined to eclipse the sum of its parts if it is properly centered. 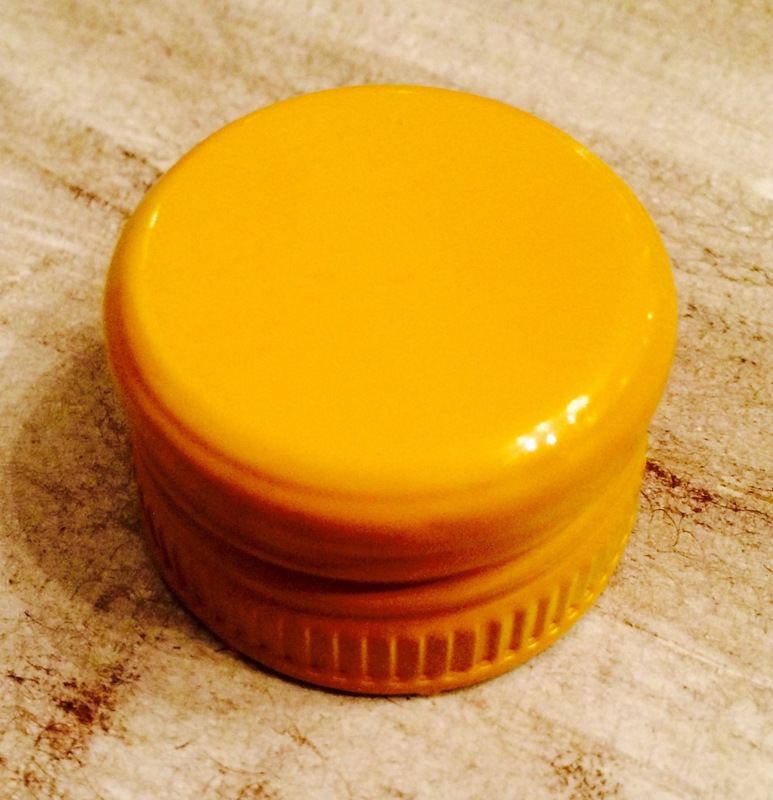 This is why these Kabinett-style Rieslings are my favourite style of wine, and why the words “off-dry” should not strike fear into your heart, even if you don’t like “sweet wines”. Trust me. True to most Rieslings of this style, the 2014 OD Riesling is a very pale, crystalline lemon colour and shows off a touch of spritz in the glass right after opening. There is an immediate sharpness to the nose, a precise, laser focus that made the aromas of lime, salt lick, icicles, Granny Smith apple and spent matchstick seem almost pristine, like you come across them in fresh snow for the first time on every sniff. The chill of the nose is immediately brightened by a dose of sweetness off the top of the palate, but despite the level of sugar remaining in the wine, its body remains lithe and agile and it prickles and dances on the tongue. As touched on above, the acid levels are unbelievable, an electric icy waterfall that the OD follows like a bobsled track all the way through to a lingering, mineral, outside-just-after-it-rains finish. The number of Arctic and water metaphors in this paragraph is not accidental: this wine takes you to cool, wet, biting, bracing places, which is why that buried core of sweetness is critical to warm you back up. The flavours here are buoyed and brightened by the OD’s sugar levels, offering a little musk and riper Meyer lemon notes to go along with sharper apple and wet pavement and a classic Riesling chemical twang, fresh Sharpie meets new tennis ball (even with some accompanying textural fuzziness on the tongue!) meets burnt rubber on a factory floor. There really is no way to adequately explain how this combination of tart and sweet and industrial impressions can fit together and elevate each other so perfectly, how a single wine can transport you somewhere both so natural (an alpine stream) and so man-made (a mechanic’s shop) at the exact same time, how simple components like acid and sugar can turn each and every sip into a cliffhanger. This grape, man. There’s nothing like it. Riesling, this one’s for you.